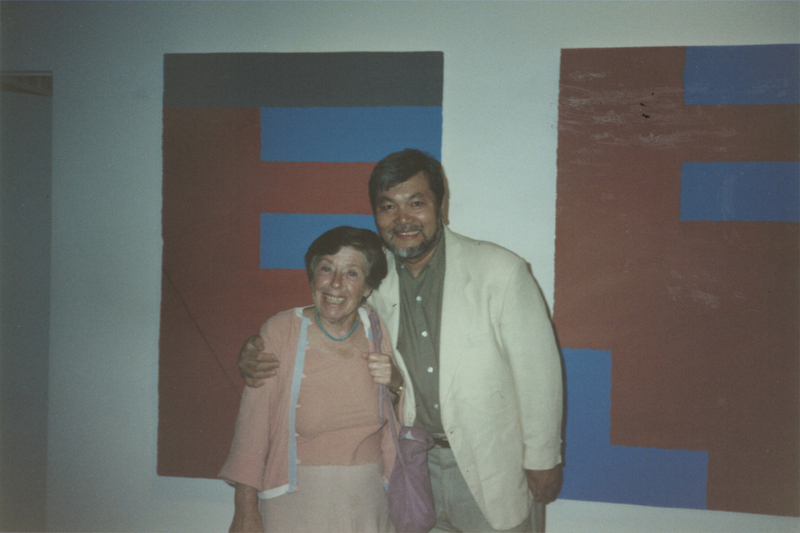 When Hitoshi Nakazato chose to work in the abstract tradition he also entered into the by now venerable discourse – aesthetic and political – that is an inseparable part of it. The overriding issue in the kind of art that Nakazato creates, an art that is preoccupied with form rather than narrative content and that shows a tendency towards a deformation of concrete reality in favor of abstraction, has been Formalism. To better understand Nakazato’s position within this discourse it is helpful to take a closer look at some of the problems and conflicts that consistently arise with any critical discussion of Formalism. The first school of Formalist paintings and criticisms surfaced in Russia during the dynamic period 1910-1925. Tired of the Italiate perspectival and anatomical norms favored by the Academy as well as inspired by the literary Formalists of their time, a few artists and critics began giving serious attention to the intrinsic properties of the work of art. The idea was that by examining the work of art as an independent complex of devices divorced from the artist himself, he might make a tentative effort to create a new and revolutionary visual aesthetics. In view or what we know about the fate of the Russian avant-garde after 1923, it is ironic that Formalist art and art criticism reached its zenith during the first years of the Soviet regime when the new aesthetic was considered sympathetic to the Revolutionary cause. The main thrust of the general accusations soon to emerge from Soviet historians related to their understanding of Formalism as an asocial and apolitical movement, lacking the ideological meaning seen as necessary for the achievement of a collective consciousness. To collaborate this view, Marxist critics have repeatedly pointed to figures like L.S. Popova and A.M. Rodchenko who by 1921 had turned to industrial design and declared “self-sufficient paintings outmoded, and [their] activity as mere painters useless.” 1 K. Malevich’s move towards mysticism is also seen by some as proof of Formalism’s dead end implications. What these concerns reveal is the view that the work of art only acquires meaning from without itself, that mere matter has no meaning however put together. Although many young artists, feeling burdened by the emotionalism and overwhelming success of the preceding generations of Abstract Expressionists, felt liberated by Greenberg’s retinalism, others such as Pop artists, the Conceptualists and the Minimalism rejected it. 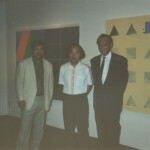 It was thus an art scene of choices and conflicts that Nakazato entered when he first arrived in the United States in 1962. As might be expected of a major young talent, Nakazato experienced with several attitudes and procedures while searching for the beginnings of what would evolve into his own vocabulary. The outcome of this search, the mature version of which we see in this exhibition, is an eclecticism of means if not outcome. 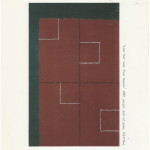 That is to say, while Nakazato’s paintings are not eclectic in style, the way that of David Salle’s paintings for instance are, they arrive at a variety of means: they are informed by classical concern of proportion, a Dada-like delight with chance, the Conceptualist’s sophisticated sense of language, a Formalist fascination with the intrinsic properties of art, and last but not least an extremely developed sensitivity to the sensuous nature of color. 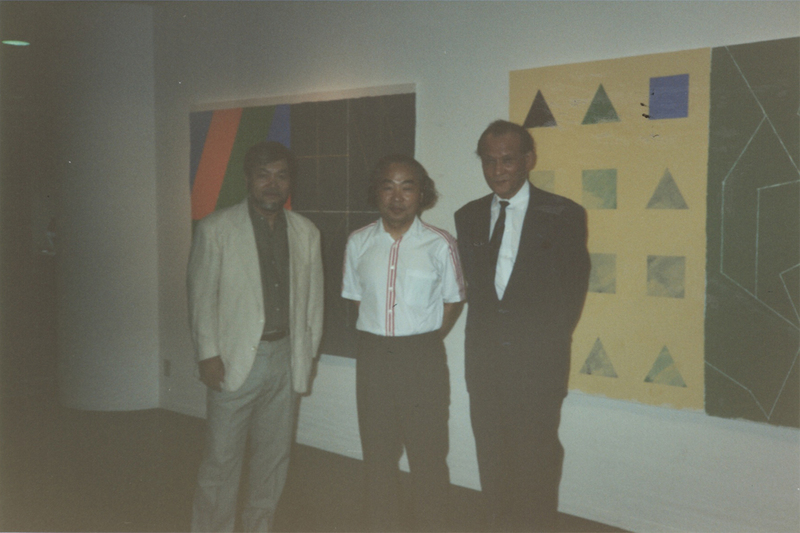 The critical language most often used to describe Nakazato’s art as been predominantly Formalistic. Inspired by the abstract qualities of the works, critics tend to categorize them as color-field paintings, that brainchild of Greenbergian Formalism that didn’t hesitate to sweep under the same umbrella such decidedly different sensibilities as Ellsworth Kelly and Barnett Newman. That is not to say that such approaches are somehow invalid, they have in fact much to explain the often startling visual success of Nakazato’s work. But what if we move on to other so-called color-field painters, such as Kelly and Jules Olitski, and find that the formal descriptions of their works look much like those of Nakazato’s. 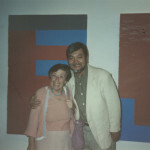 How would we then explain the fact that the paintings of Kelly and Olitski seem grounded in a specific time period, namely the heyday of Greenbergianism in the sixties while those of Nakazato manage to remake themselves, to move forward and address the present while remembering the past and anticipating the future. In his essay “Is there a way of generalizing aesthetic messages in an Edenic language?” Umberto Eco speculates as to how Adam and Eve might have discovered the semantic units of opposites.3 The first couple lives comfortably with these semantic units – yes vs. no, edible vs. inedible, good vs. bad, red vs. blue – until one day God issues a factual statement about the nontouchable status of the apple. The apple is red and their development of connotative chains the color red has come to stand for eatable and was therefore good and beautiful. This ambiguity between what should have been the good and red status of the apple and God’s assertion of its badness is what finally awakens their creative impulse. The point of Eco’s story is to further substantiate his argument that the aesthetic use of language, and I would add painting, is distinguished by the ambiguity of self-focusing character of the messages articulated by it, and that through this ambiguity the message is rendered creative in relation to the acknowledged possibilities of the code. If we apply this argument to Russian Formalism as it appeared in the beginning of this century it becomes clearer why, aside from political pressures, the ideal may have been so short lived. The Formalist efforts of the Russians may partly be compared to the situation of Adam and Eve. Like Adam and Eve the Formalists were constrained by what we might call a restricted series of semantic units, but it is important to remember that the source of the ambiguity introduced into the two systems comes from two different systems. While the Edenic harmony of Adam and Eve is disrupted from the outside by the God’s factual judgement, the Formalists not only created their own restricted language of form but they also introduced their own ambiguity by cutting off their ties to tradition. There was no precedent to what they were doing, not even in the abstract experimentations of the Cubists. The code, therefore, had very few possibilities as there were very few memories to work with. The situation of the contemporary abstract artist is clearly very different. The abstraction tradition has long since been acknowledged and few would venture to argue for its meaningless. Instead, the contemporary artist is faced with the considerable problem of reidentifying the ambiguities by which his art may be rendered anew. The success of Nakazato’s work grows out of his understanding that is not enough to establish ambiguity at the level of what Eco calls ‘the form of content’. The form in which the aesthetic message is expressed must be altered in such a way that while retaining an awareness of the change in ‘the form of content’, the viewer is forced to reflect on the message itself as a physical entity. In this sense form and content is always inseparable in Nakazato’s art. 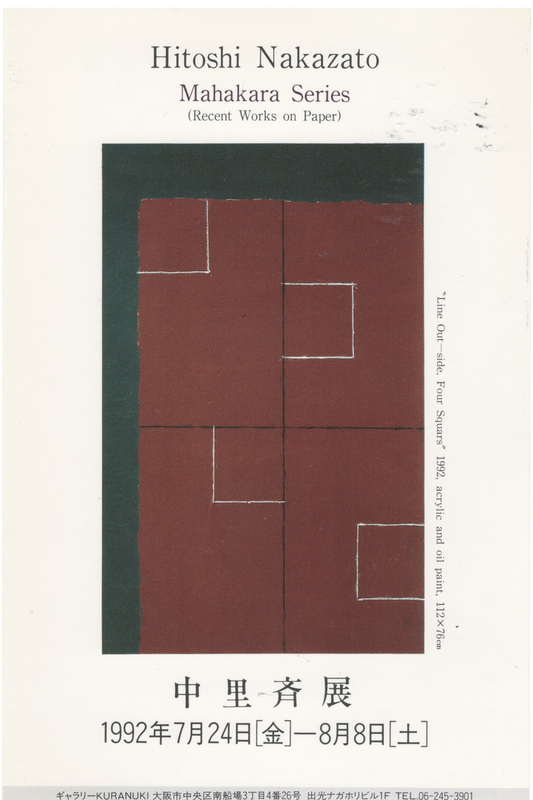 1 John E Bowlt, “Russian Formalism and the Visual Arts,” Russian Formalism, Barnes & Noble, New York, 1973, p 143. 2 Clement Greenberg, “After Abstract Expressionism,” Art International, Vol. VI, No. 8, October 25, 1962, p 30. 3 Eco Umberto, “Is there a way to generating aesthetic messages in an Edenic language?,” Struemnti critici, No. 15, June 1971. Translated by Bruce Merry and republished in eds S. Bann & J.E. Bowlt, Russian Formalism, Barnes & Noble, New York, 1973, pp 162- 176.